Sealofts is a community of fully equipped Caribbean Villas located directly on the Atlantic on a three-acre site running from the ocean to the edge of the Royal St. Kitts Golf Club's 18 hole championship golf course. Sealofts grounds feature a beautiful pool with lounging area set amongst a lush tropical setting with mature palm and hibiscus trees. Grounds feature 2 shady gazebos, a large central barbeque and a lounge area set right on the ocean for unbelievable views of the ocean and mountains. Located in the heart of the Frigate Bay hotel zone, Sealofts is close walking distance to popular local restaurants, the Caribbean sea and is just a 10 minute drive from the International airport. Sealofts is located on a peninsula with the property located directly on the Atlantic Ocean yet only a short walk to the Caribbean as well. The 5 star Marriott resort is right next door and features the largest Las Vegas style Casino in the Caribbean, Fine Dining, a Modern World Class Spa with full amenities and a variety of Fine Shops. 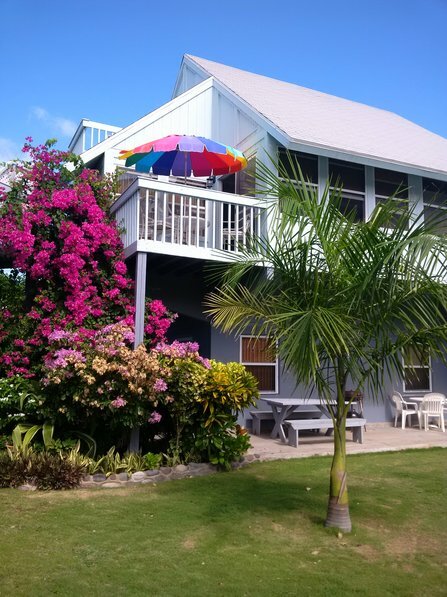 Sealofts Unit 37 is a 2 Bedroom, 2 Bathroom unit tastefully decorated in a Caribbean decor. It features Air Conditioning, TV, DVD, Stereo, Telephone, Wireless computer access and a washer and dryer. It has been recently remodelled with a new Caribbean bright colour scheme. Bedrooms have been updated with new curtains, fresh bed linens and accent rugs. Bathrooms also have been refreshed with new towels, linens and accessories. The fully equipped kitchen has a brand new Refrigerator and many new appliances. The kitchen features bright and colourful Caribbean stoneware and glasses and a recently updated dining table coordinating with the Living area decor. Unit 37 directly overlooks the pool and features 2 balconies, one from the second floor and one from the 3rd floor master loft bedroom. Both bedrooms feature double beds, double closets, double dressers and are fully updated. The second floor bedroom also features an in closet safe for peace of mind with your valuables. The Living area also offers a pull out double bed sofa. property has 2 balconies . One from the main floor living area and one from the loft bedroom as well as a main floor patio with dinner seating for 8. Villa overlooks the pool and onto the tropical gardens. Outdoor BBQ area wiht Gazebo also available on property.